What are Spark Plug Wires? Spark plug wires are the components in spark ignition systems that transfer high voltage pulses between the voltage source, the distributor, and the spark plugs. 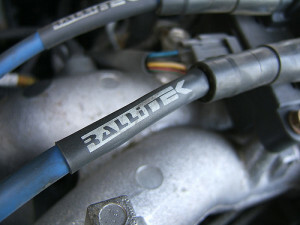 The cable that connects an ignition coil to a distributor is typically called a coil wire while remaining otherwise indistinguishable from the spark plug wires. Plug and coil wires are also collectively known as high tension leads, spark plug cables, and by other, similar names. Each lead consists of a single wire that is encased in an insulating material and has connectors and insulating boots on both ends. 2 How do Spark Plug Wires Work? The main core of every spark plug wire is a conductive wire that forms part of the circuit between an ignition coil and a spark plug. Since one electrode of every spark plug is grounded, each spark plug lead only contains a single wire, and the grounded spark plug, the engine block, and a ground strap provide the other part of a complete circuit. Since it is important for the ground in this circuit to be the outer electrode of a spark plug, it is vital that no part of a spark plug wire ever come into contact with ground. To that end, the central, conductive wire is encased in an insulating material. This material has to insulate the wire, be flexible, and also be heat resistant, so materials like EPDM rubber and silicone are typically used. Spark plug wires have boots at each end that help keep out contaminants. Each end of a spark plug wire has a terminal connector. The connectors at the spark plug end are typically push-on connectors that are designed to snap onto the outside of a spark plug center electrode terminal. On the distributor side, the terminal connectors typically slip inside of receivers in each post. 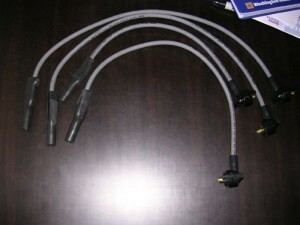 Each of these terminal connectors, both on the spark plug and distributor ends, also has a protective silicone or rubber boot. The boot is designed to protect the terminal from contamination, but dielectric grease is sometimes applied during installation to provide additional protection. Some spark plug wires have clips that help secure them in place. 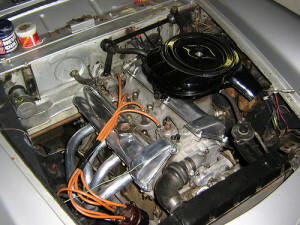 In some cases, the spark plug wire terminal ends are responsible for holding the wires in place. However, the boots may also perform this function. Some boots are ridged, which helps them stay in place on spark plugs, and others have clips that snap into place in a distributor cap. Others use special clips that hold them in place. How do Spark Plug Wires Work? Spark plug wires are sometimes referred to as high tension leads because they are designed to carry high voltage pulses between the coil or magneto and the spark plugs. This is due to the fact that voltage was historically known as “electric tension,” which is a term that is sometimes used today, especially in reference to high voltages. One every day usage of the term that you may be familiar with is “high tension power lines.” In that case, as in the case of high tension leads, the word “tension” refers to voltage rather than the more common meaning of the term. The first bullet point describes the main function of a spark plug wire, while the other are design elements that help these wires to their job without shorting out. During normal engine operation, a coil or plug wire in a conventional mechanical or electrical ignition system works by first transferring a high voltage pulse from an ignition coil to a distributor. The distributor, cap, and rotor then work together to create an electrical connection between the coil wire and one spark plug wire. The high voltage pulse then travels through that high tension lead to the spark plug, jumps the spark plug gap, and ignites the air/fuel mixture in the corresponding combustion chamber. In distributorless ignition systems, the spark plug wires connect the spark plugs directly to one or more coil packs. In distributorless ignition systems, spark plug wires connect each coil pack directly to one or more spark plugs. These plug wires are otherwise identical in appearance and function to other high tension leads. 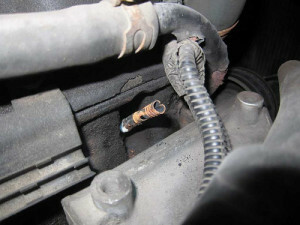 Spark plug wires can fail due to becoming disconnected from their terminals. When spark plug wires fail, the result is typically a rough running condition due to one or more cylinders not operating. If the insulation abrades, or a carbon track develops in one of the boots, then the electrical current flowing through the wire may short to ground. This may create a visible spark that you can see with the naked eye, and it will typically result in a sharp popping or cracking sound when the engine is running. If you handle a wire that is damaged in that way, you may also receive an electric shock. Regardless of the reason for failure, the fix for bad spark plug wires is to simply replace them. It is important to determine why the failed, however, in order to correct any issue that may have resulted in the failure. For instance, spark plug wires that are improperly routed may be damaged by sharp or excessively hot components in the engine compartment. In that case, the replacement wires should be routed differently to avoid another premature failure. There are a number of ways to make sure that spark plug wires are routed to avoid sharp objects and hot surfaces. It is also vital for spark plug wires to be installed properly, which means connecting each distributor terminal to the correct spark plug. When a distributor cap is numbered, this process is relatively foolproof. 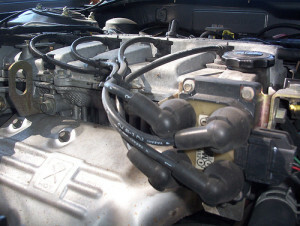 However, most distributor caps only have the #1 terminal marked or have no marked terminals. In those cases, it’s a good idea to consult a technical manual, sketch a quick diagram before removing the plug wires, or to simply replace a single plug wire at a time. Using this information, you can connect the number one terminal on the cap to the number one plug in the firing order. You can then work either clockwise or counter-clockwise around the cap and connect each terminal to the next plug in the firing order. 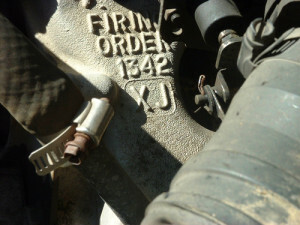 The firing order is sometimes stamped somewhere on the engine. 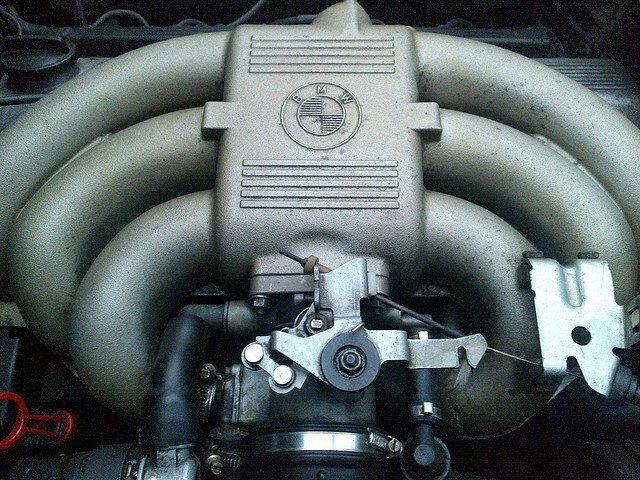 The process of replacing spark plug wires in distributorless ignition systems is similar. 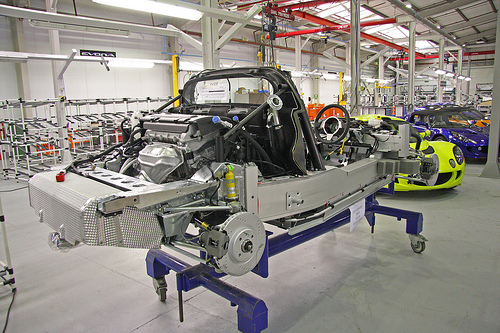 Some coil packs are numbered, which makes the job extremely easy, since you simply connect the number one coil pack to the number one cylinder, and so on. 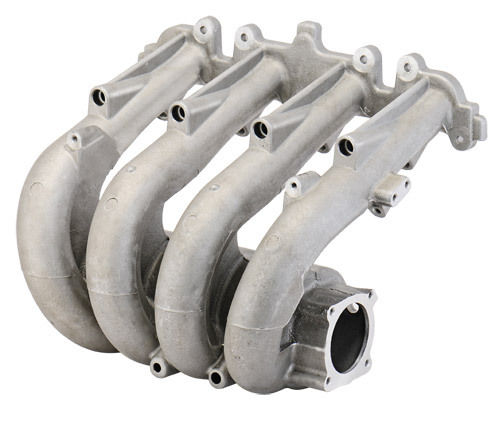 In other cases, you will have to know the firing order and the numbering sequences of both the cylinders and the coil packs, or consult with a diagram. Regardless of whether an ignition system uses a distributor or coil packs, it’s vital to make sure that the spark plug wires are hooked up properly. If they aren’t hooked up correctly, the engine will either fail to start or will run very badly. A single pair of swapped wires will typically result in a misfire, while an entire set of messed up wires will typically prevent the engine from starting at all. Next story What is an Ignition Module? Previous story What is a Distributor Rotor?